As a nationally certified massage therapist, and alternative healer, in practice for 30 years, I provide individualized sessions of healing massage or other modalities. Every one is unique, and every moment is different, so I tailor my approach to the specific needs of the individual client. The approach I use in massage is soft tissue manipulative therapy, a non-invasive, gentle approach that encourages relaxation and healing of unconscious psychophysical holding patterns. Sessions take from 45 minutes to 90 minutes and may include the use of essential oils, sound-waves, energy work, and guided meditation. 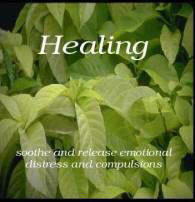 Complementary medicine, also called alternative healing, works to harmonize each client's body/mind/spirit. Every day brings different challenges and opportunities, so each person is a little different each day in their needs. Recognition of the unique quality of the individual, and the story that each person is, necessitates flexibility in the approach to the client...so there are rarely two sessions identical to each other. ● Massage & Bodywork Therapy - Nationally Certified. ● Soft tissue manipulative therapy, based on the teachings of Milton Trager, M.D. As seen on PBS, a Weeknight Edition interview on complementary healing with Susan. from Helen Racz on Vimeo.